For anyone who has had cult involvement, there is life after getting out. It was 19 years ago when she found out her husband had taken a second wife, and she knew it was time to get out. Ex-cult member Kay Hawkins belonged to religious organization The House of Yahweh. In her new book The House of Yahweh: My Side of the Story, Hawkins exposes the inner workings of the secretive organization, providing a rare glimpse into cult behavior from an ex-member who has since gained clarity. For more information, visit http://kayhawkins.com. 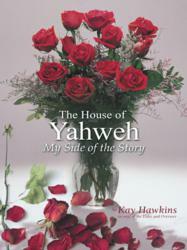 Kay Hawkins is an ex-member of The House of Yahweh. She is committed to educating the public about the inner-workings of secretive religious organizations, encouraging cult members to get out and helping ex-members of cults recover from their emotionally-damaging experience.